Paul’s request was also legitimate. He experienced a constant thorn in the flesh, a handicap or impediment, and he asked God to remove it. Perhaps Paul thought he could serve the Lord more effectively if it was gone. But God’s answer was, “My grace is sufficient for thee: for my strength is made perfect in weakness,” In Paul’s case, we read of no sin connected to God’s lack of response. These are biblical examples that legitimate prayers, proper requests, and fitting petitions can remain unfulfilled. It is possible that our prayers for wayward sons of daughters, for more effective gifts to serve, or for the healing of a loved one remain unfulfilled. Legitimate prayers may remain unfulfilled prayers. Such experiences can hand as a cloud over our spiritual lives. Everything begins to look darker and feel colder. We can become depressed, coming to wrong conclusions like, “All my prayers are fruitless,” or “I must not be a child of God because my prayer is not answered.” Both of these conclusions are mistaken. Remember that despite these examples of unfulfilled prayers, Moses and Paul were true children of God and many of their prayers were answered. If our prayers do not obtain the benefits we desire, this does not necessarily mean that they are fruitless. Unfulfilled prayer can serve as a means to produce far deeper and more valuable benefits than those we originally requested. Unfulfilled prayer can teach us patience and contentment, surrendering and bowing before God. Moses did not rebelliously ascend Mount Nebo to look despairingly at the land and resentfully to die there. No, God was glorified more by Moses’ response to his unfulfilled prayer than if it had been answered in the way he desired. 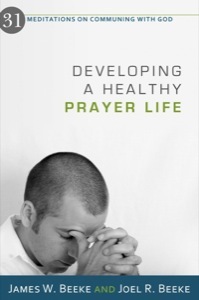 Unfulfilled prayer can serve to exercise the soul and produce greater reliance upon God. Paul confessed, “When I am weak (in self), then am I strong (in the Lord)” (2 Cor. 12:10b). Whatever his thorn was, it kept him humble and dependent upon the Lord. Do you see how God provided richer experiences to Paul by not granting his request? The Lord can use unfulfilled prayer to work deeper fulfillment, rest, and trust in God. “My grace is sufficient for thee.” A craftsman will be more glorified when he produces beautiful art with imperfect tools. Unfulfilled prayer can serve to teach us humility and dependency, to trust more in God and less in self. Unfulfilled prayer can loosen our attachment to man and temporal things. Do you understand how unfulfilled prayer can produce rich, fulfilling purposes? And how fruitless prayer can serve a fruitful purpose? The difficulty lies with our vision. We often have our eyes on more shallow, temporary results and fruits. God’s vision is deeper; he aims for eternal results and fruits. Moses’ eye and prayer were focused upon earthly Canaan, which God denied; from Mt. Nebo, however, God took him into the heavenly Canaan. Paul desired that his temporary thorn be removed, but God gave him grace to bear it, and in the end Paul entered God’s rest where all thorns are removed. When considering unfulfilled prayers, let us remember that God’s “no’s” are often deeper “yes’s.” We may view unfulfilled prayer as receiving a no answer from God, but He may be providing deeper answers. The Lord can fulfill much through unfulfilled prayer, to His glory and to our amazement.” (pp. 70-72). This entry was posted in book reviews, James Beeke, Joel Beeke, prayer, quotes, trusting God, walking by faith and tagged book reviews, James Beeke, Joel Beeke, prayer, quotes, trusting God, walking by faith by Brian Cochran. Bookmark the permalink. and if anything the opposite result is more likely.